Gone are the days when clearing snow was just a thing for northerners. With everyone from the Canadian border to the Gulf of Mexico shoveling snow last winter, electric snowblowers are in high demand. An evolution from gas motors, electric snowblowers are cleaner, quieter and more efficient — oh, and they’re a wise investment for kids looking to take their driveway-clearing business to the next level. We’ve put together a list of the best snow blowers on the market so even if you’re a snow-clearing rookie, our guide and comparison table to the top electric snow blowers will help you choose the right one. Here is a feature comparison of my top 3 electric snow blowers with reviews and our buyers guide below. The Earthwise SN72018 is a lower-cost snowblower that provides plenty of snow clearing power and is our Editors Choice as the best electric snow blower. At just 35 pounds, it’s easy to maneuver with its ergonomic handle. Most users agree that it works very well on flat surfaces and surprisingly well on uneven surfaces such as gravel. One drawback, however, is that the wheels are a little bit small, which can make things awkward in deep snow. With an 18 inch clearing width and a 12 inch clearing depth, it can make short work of light and moderate snow cover and gets through 700 pounds of snow per minute. Earthwise have fitted the SN72018 with lights as standard which is convenient for the shorter winter days. You can also rotate the chute as you go, using the manual handle. In summary, the Earthwise SN72018 is an impressively powerful and practical machine at a more than reasonable price. 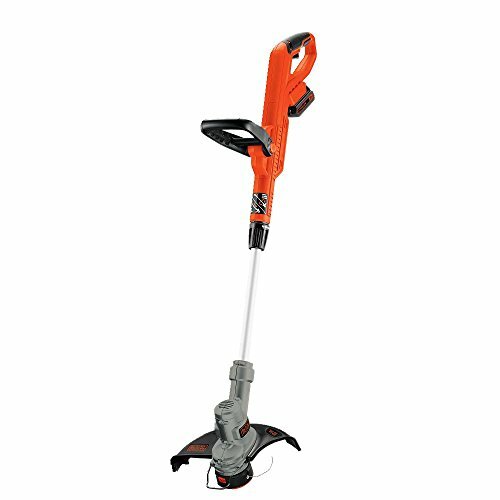 I have reviewed the 18-inch corded model here, but you can also find 14″, 16″ and 18 inch rechargeable battery operated, as well as 16″ corded versions. 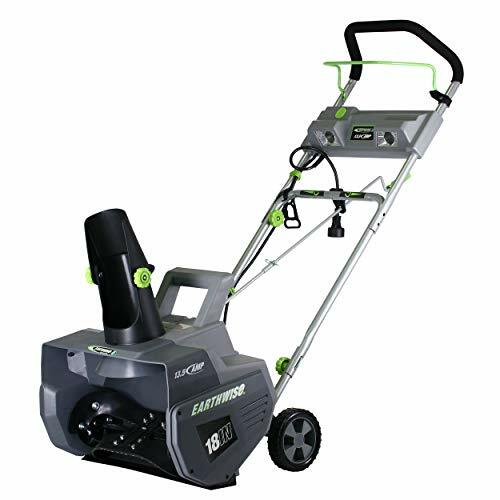 The Greenworks Snow Thrower 2600502, like the previous two snowblowers on this list, is at the lower end of the price range, but offers excellent performance and usability for the cost. The clearing width of 20 inches and depth of 10 inches is one of the best on the list and can throw snow up to 20 feet away. It holds its own against all other corded snowblowers in this guide, chewing up and spitting out fresh snow easily to a height of six inches, and often a little bit more than that. The folding handle is a neat little addition for easy storage. Another little extra, this time optional, is a light, which would come in very handy if you had some essential snow shifting to do after sundown. Greenworks have better designed wheels than Earthwise so mobility is a plus on this model. It is also just 30 pounds, which is five pounds lighter than the Earthwise model and nine pounds lighter than the WEN. 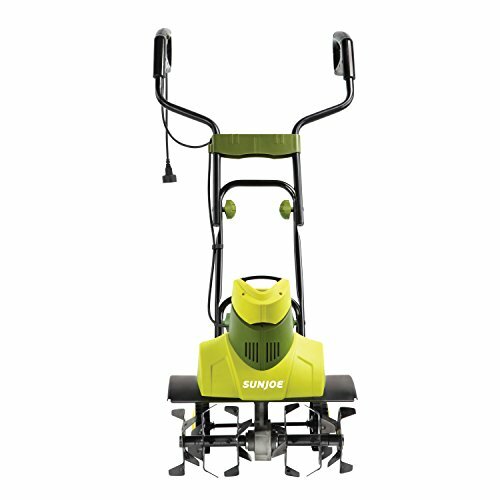 Costlier than the WEN and Earthwise, easier to use and more maneuverable according to most users, the Greenworks Snow Thrower is a highly recommendable machine for the price. Snow Joe came onto the market in 2004 with its very first electric snow shovel, and have since gone from strength to strength. 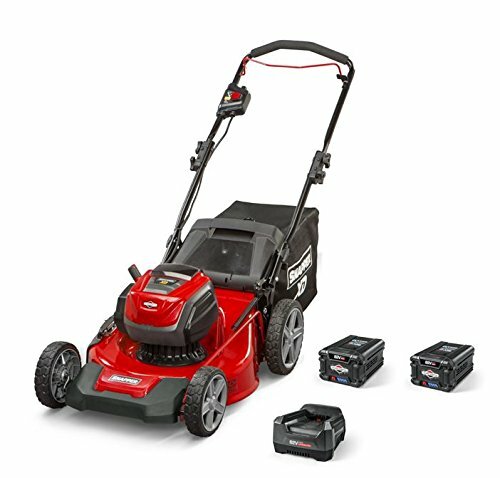 This model backs its own reliability with a full two-year warranty. With 21 inches of clearing width and 12 inches of clearing depth, the Snow Joe Ultra SJ625E has the biggest capacity on the entire list. Great for clearing medium driveways and walkways, it can claim to take care of moderate to heavy snow with relative ease and an LED lamp comes as standard for nighttime blowing. It is more powerful too, with 15 amps flowing into it and throwing 800lbs of snow per minute back out of it. Its auger is made of steel with rubber blades, which is stronger and sturdier than other plastic ones you can find on this list. While it is true that The Snow Joe Ultra is a step up in quality from the previous three models, it is also a major step up in cost. At twice the price of some of its competitors, a lot of buyers are instantly put off, but if you want the best single stage snow blower that’s a workhorse of a snowblower, look no further. The EJWOX packs a lot of punch. The 9 amp motors spins the auger at 2000 revolutions per minute and throws snow up to 20 feet away. Like most of these products, it has a rotating chute which you can adjust a full 180 degrees to direct the snow wherever you need to. All of this adds up to a clearing capacity of up to 700 pounds of snow per minute. In terms of clearing area, it is the smallest on the list, at 16 inches wide and 6inches deep, but the difference is very slight. Realistically, it is a negligible difference that shouldn’t really affect your decision making process too much. What’s more, the wheels make maneuvering the Snow Blaster easy. At under $100, the EJWOX Snow Thrower is a best electric snow shovel that is a worthy low-cost competitor to the pricier corded snowblowers on this list. It also comes with a two-year warranty should you experience any problems. If you want a reliable machine without breaking the bank, you won’t be disappointed. Ryobi has been on the market for far longer than Snow Joe and has a good foothold in the outdoors industry, dating all the way back to 1943. But it is still a relevant player today, as the number one brand of electric snow throwers in the USA. Ryobi’s innovative Power Curve technology, with its curved rotor, ensures that it reaches all the way down to the surface and prevents clogging of the mechanism. This is the absolute forte of the Ryobi RYAC802. It can clear snow up to 10 inches of snow and has a clearing width of 20 inches. The 12 amp input means it can throw 800 pounds of snow per minute, making it one of the most efficient on the list. Of all the corded snowblowers in this list, the Ryobi gives the most snow clearing capacity for its weight. This gives you a nice balance of a lightweight machine that will work for as long as you need it to. Its practicality extends to a foldable handle which means it can be stored easily during the warmer months. For a mid range priced electric snow blower, the Ryobi RYAC802 offers very high performance with unique features and a three-year warranty. At under 20 pounds, the PowerSmart DB2401 is the lightest battery powered snow blower on this list. This makes it a wise choice if you’re advanced in years or if you’ve had back problems in the past. Combine that with the fact that it is cordless, and you have the best cordless snow shovel. Its strengths lie in its convenience and that extends to slots on the back if you need to mount it on the wall. It also has a manual chute, which is less ‘techy’ than other motorized chutes, but is reliable in all conditions, from snow to ice. 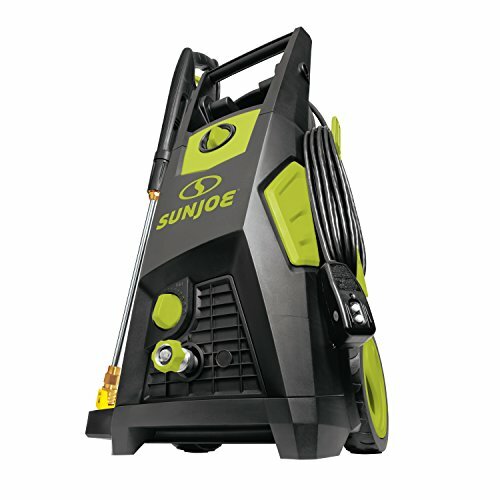 As a battery snow blower, it has a 25-minute run time, which is half the time of the Snow Joe iON18SB, but don’t let it put you off. It can reach full battery capacity in just 70 minutes — just over a third of the Snow Joe’s speed. Part of this rapid charging time is due to the battery cooler, which speeds up the process. On the contrary, the Snow Joe often has to be left outside to charge efficiently. If money is high on your priority list, the PowerSmart is the smart choice. Not only is it over $100 less than the Snow Joe iON18SB according to the list price, but it also comes with a two-year warranty for any issues. Launched in 2013, the Snow Joe iON18SB is now among the best cordless snow blowers you can find. As you might expect from this and the PowerSmart DB2401, being battery powered, they don’t have the same power as the corded machines, or the same clearing capacity per minute. But this is simply no problem when you consider the benefits it brings. This Snow Joe blower can clear snow without being restricted by a cable. It clears 18 inches wide and eight inches deep, which isn’t the best capacity in this guide, but more than enough for what most people will realistically need. Despite the figures, most users are seriously impressed with the Snow Joe iON18SB’s performance, even in deep snow. 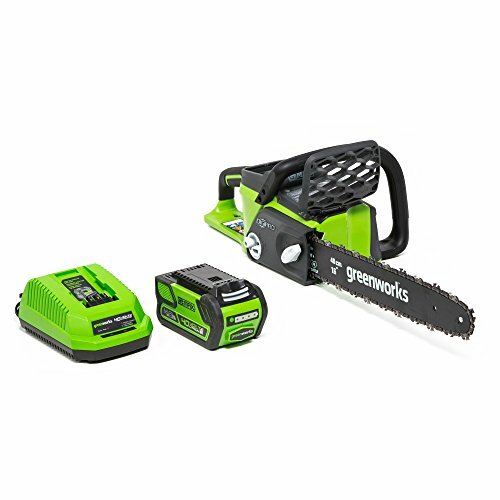 It also comes with added extras such as a 180 degree auto-rotate directional chute and a three watt LED headlight in case you get a night time blizzard that you need to clear before work the next day. You could even clear snow when you’re neighbors are all in bed; it is so quiet that you won’t disturb anybody. This cordless electric snow blower has up to up to 50 minutes of run time, you can clear a huge amount of space before needing to recharge it. When you do need to charge it, you’ll only have to wait for three hours until it reaches full capacity. You can choose to plug it in if you want to use it for especially extended periods of time. Snow Joe provide their own warning against using the battery at the same time as you have it plugged in and unfortunately this does mean you cannot use the extras, specifically the light and the chute-rotation function. The Snow Joe iON18SB is a great contender on the snowblower market, and not just for cordless machines. With a run time of 50 minutes, it may leave you wondering if there is any point in considering a corded blower. 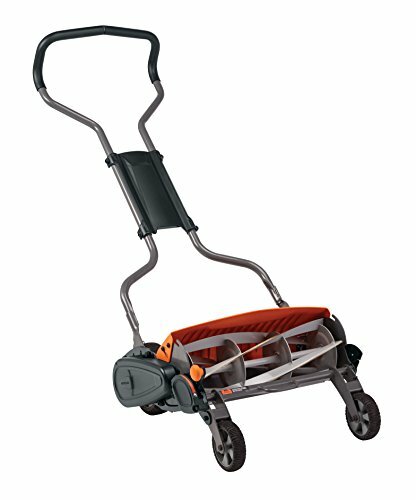 Should I Get an Electric Snow Blower? All of these snowblowers are smart investment for the upcoming winter and none of them will disappoint. But to choose the perfect snow thrower, read through the following buying guide to see which one is right for your needs. Probably the first question before buying anything: do you need it? If the answer is “no, but I want it anyway”, jump to the next section, this isn’t for you. Everyone else, listen in. I can assume by the fact you’re reading this that snow is a problem on your property. If you need to get rid of it and you can’t or simply don’t want to shovel for whatever reason, a snow blower is a logical option. Electric snowblowers are the natural evolution from gas-powered snowblowers, but are not as powerful as the louder, dirtier and older generation. 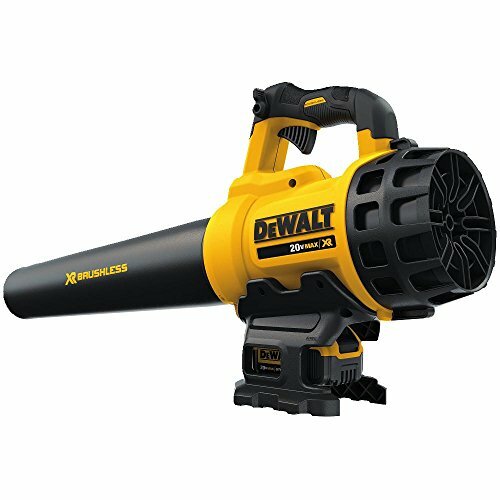 For a typical Chicago winter with multiple feet of snow, many people prefer a gas blower. So what categories do electric snowblowers win in? I’ll try to keep this short: They are cleaner, quieter, lighter, more eco-friendly and more reliable. They also don’t have fumes, oil, gas and don’t require fuel or a pull-chain ignition. So if you’re getting on in age a bit and don’t want the physicality of a shovel, or want to get snow clearing done in the quickest, most efficient way possible, yes. You need an electric snow blower. Most of the snowblowers in this guide are corded. A corded model, as you would expect, lasts for as long as you have electricity flowing through your home. Of course, an obvious benefit of a corded machine is that you will never have to worry about charging it either. One tip I would like to share with you is that the majority of users buy an extension cable with their corded snow blowers. You can find more information on extension cables in the FAQ below. If you have a particularly large back yard or a long driveway, a cordless snowblower may be right for you. They take the stress out of wondering whether you can reach the most distant areas and allow you to clear your property freely. Similarly, if you just want to avoid the hassle of thinking about a cord, you’ll be impressed by both the PowerSmart DB2401 and the Snow Joe iON18SB, as well as the cordless options that Earthwise offer. You really don’t have to worry about a cordless version restricting you in terms of throwing time either. With the advantages in technology in this area, battery-powered snow blowers last far longer than most people would really need to use one, and charge time is a fraction of the time it takes to charge your phone. You may now be wondering what exactly are the downsides to a cordless snow blower? One deal breaker for many people is the price. To point to the most extreme example, the Snow Joe iON18SB is almost four times more expensive than the Ejwox Snow Blaster. The most important feature to take into account when choosing an electric snowblower is the clearing area. This is the area of snow that your machine can handle as it is pushed along the ground. The area between these products ranges from the Ejwox at 18×7.8 inches to the corded Snow Joe at 21×12 inches. Ignoring the raised prices of the cordless versions, the larger clearing area correlates directly to a higher price and vice versa. However, don’t think that a larger clearing area necessarily means a better machine. You can always go over areas repeatedly to deal with snow that is too deep. A: An auger is the corkscrew-shaped (or helical-shaped if you want to be technical) component at the front of a snowblower that rotates and moves the snow into the chute. It works very similar to a boring machine (the type that bores holes into walls, not just a particularly uninteresting machine) or a drill bit, scraping up snow from the ground and passing it along its length to where it is discharged. Q: What’s the Difference Between a Snowblower and a Snow Thrower? A: Looking at the end result, there is no difference. They both pick up snow and blast it away from where you picked it up. Although both terms are used more or less interchangeably, there is an accepted difference. A snow thrower uses a powered auger (see above) to take snow from the ground and throw it out of the chute. A snow blower uses the same auger principal as a snow thrower, but adds a small impeller before the chute. The impeller works like a fan to blow the snow out at a higher velocity, increasing the throwing distance. In reality, neither the semantics nor the inner workings are important — unless you’re into that kind of thing. Whether it uses just an auger, or an auger and an impeller, all of the products on this list will more than make the grade when it comes to general use. I would recommend you to focus on the clearing area and the throwing distance that makes most sense for you, as for the layman, the differences between snow blowers and snow throwers are negligible. Q: What’s the difference between a single-stage and a two-stage snowblower? A: They’re actually just different words for snow throwers and snow blowers. The first stage, which is included in both single-stage and two-stage snowblowers, is the auger, which scoops the snow off the ground. A two-stage snowblower, as mentioned in the previous question, also includes an impeller to blow the snow out of the chute. Q: I Want a Corded Snowblower. Will I Need an Extension or an Adapter? A: All of the corded items in the list come with a cable with a standard two-prong plug, so there are no adapters necessary. However, if you haven’t already got one, I would recommend purchasing a long, 15 amp cold-weather extension cord. This thicker cable stands up to the cold better, while the 15 amps can handle all of the products listed here and 100 feet should cover most people’s properties. Hopefully this guide has been useful in helping you to decide on the best snowblower for you. As you would expect, all of the products in this list are among the best in their class, as long as you choose the one that matches your needs, you won’t be disappointed. So dress warm and enjoy the labor savings with your new electric snow blower. If you have any extra comments or tips on how to use these items, please feel free to post below!